Okay I guess it's time to archive the 2018 attendance sidebar. God, that's depressing, again. 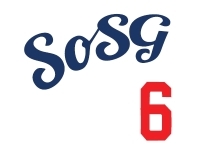 Prior SoSG attendance records: 2008 (18-15), 2009 (21-10), 2010 (9-8), 2011 (10-7), 2012 (24-18), 2013 (24-16), 2014 (22-12), 2015 (27-13), 2016 (10-5), 2017 (27-13).